The market for vapor products has been heating up over the last few years. Worldwide sales of e-cigarettes reached $2.76 billion in 2014 and were expected to expand to $10 billion by 2017, Statista, a major internet statistics company, found. Statistics point to the growth of vaping products at c-stores in particular, showcasing the opportunity retailers have with this category to better serve smokers seeking alternatives. Fewer than 50,000 units of e-cigarettes went into c-stores at the beginning of 2016, reported Pittsburgh-based Management Science Associates, which tracks products shipped to stores. But as of September 2017, shipments of over 200,000 units to c-stores were tallied, the firm said. Additionally, the c-store industry as a whole seems to be bullish on the e-cigarette opportunity. Panelists at the recent 2018 Tobacco Plus Expo in Las Vegas confirmed the mounting demand for e-cigarettes and vaping devices. 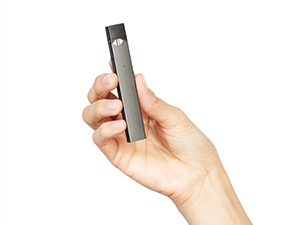 At that event, Nik Modi, a tobacco analyst for RBC Capital Markets, New York, said that while he was skeptical about the potential for e-cigarettes’ success in the past, his opinion has changed. Advancements in technology and evolving cultural perceptions have made him believe in their business potential. The closed vaping system in particular is taking off at c-stores across the country. The closed system is composed of a disposable module (mod or pod) and a battery. These e-cigarettes are ready to vape as soon as they are fit together and charged. Once the e-cigarette is finished, the user can throw away the module of self-contained e-cigarette liquid and replace it with another. By comparison, open systems, also called vape pens, are completely reusable, as the component containing the e-liquid (called a cartomizer) can be refilled. So what’s driving the uptick in e-cigarette use at c-stores? For one, many American adults are ready to move on from cigarettes. In a 2015 CDC survey, 68% of U.S. adult cigarette smokers said they would like to quit smoking. For many smokers trying to replace cigarettes by switching to something else, e-cigarettes are a popular alternative—available with or without nicotine. Furthermore, the stigma against smoking is such that many smokers opt for less socially intrusive vapor products to avoid judgment or smelling like cigarette smoke. Additionally, perpetually rising cigarette prices are driving more consumers away from using them, and some of those consumers turn to vape pens and e-cigarettes as a more economical alternative, although cigarette taxes affect e-cigarette and vapor products, too. Overall, the diminished popularity of nicotine consumption via combustible means (i.e. smoking cigarettes) has been e-cigarettes’ gain. Strong public health campaigns against smoking, perpetually-rising cigarette prices and peer pressure not to smoke may all be related to a change in perception of cigarettes. The takeaway? C-stores should know that vaping is here to stay—at least for the immediate future. And if the information gathered so far on this business segment is any indication, e-cigarettes are just getting fired up.